Performance Made Easy, Two Kits in One! B&M Shift Improver Kits are the easiest and most affordable way to gain automatic transmission performance results. B&M's kits modify an automatic transmission's shift timing in order to increase shift firmness and in-turn improve durability. These dual stage performance shift kits are application specific and contain your choice of Heavy Duty or Street/Strip configurations. 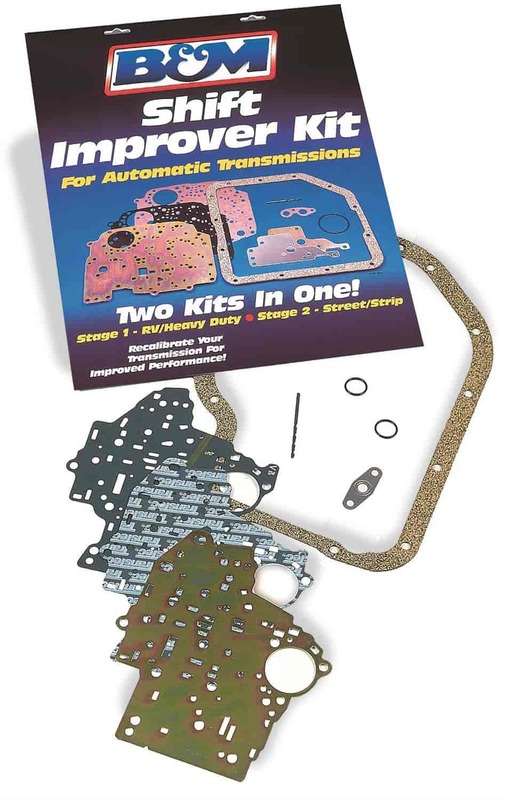 Shift Improver Kits provide well appointed, crisp shifts delivering unmatched performance. Firm, positive shifts without loss of passenger comfort for improved performance in all street vehicles. Recommended for normal passenger vehicles and tow vehicles. Provides positive shifts for high performance street use or competitive events. This configuration is for the enthusiast who wants hard, fast shifts. Recalibrate your transmission’s shift timing. Select the configuration that best suits your application. Provides well appointed, crisp shifts. Less wear and tear on your transmission’s clutches and bands. Does B&M 50260 fit your vehicle?